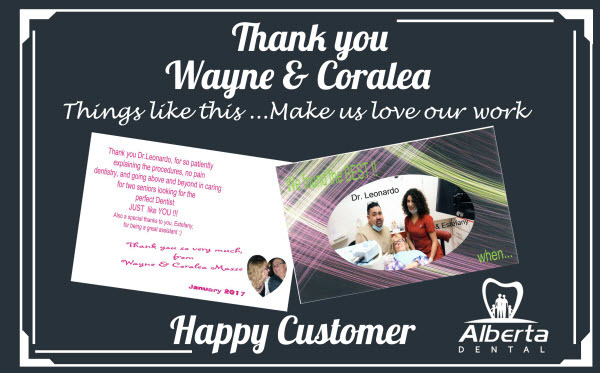 I have been a patient of dr. Ahidaly for years already and I would not change dentist at all this is a great place to come thy have great service and are very friendly and to top it of the prices are great!! The receptionist are very helpful. Excellent work and service. Would highly recommend. I see dr.Ahidaly CortesWilles. Very trustworthy and perform high quality work. This place was amazing, very clean and organized. The staff are great. Mary and my dentist alan Morales are the best. I would reccomend this place to anyone. I will be returning for more work. 10 star dentist office. Dr. Leonardo did a crown and root canal. I slept thru the root canal and the crown fits perfectly...it is wonderful. highly recommended by the locals as well...he is good to his patients and works till you are comfortable and happy with the work he has completed. I give this clinic a 10 star!! I was recommended by a friend to this dental office and absolutely love them. Called me in on my appointment did not wait, the dr. spoke fluent english and was gentle. Dr. Hector Russell fixed some of my crowns done in The US by a Dr. that i will no longer be going to. they were not sealing right and were filtrating and some were higher than others just a mes I tell you what, but dr. Hector Russell took care of me and left me like new lol... love my new crowns my bite is correct now and have no problems at all. come and see Dr. Hector Russell Hes the guy to see!! had a graet Experience! my two crowns were done in the same day, for a reasonable price. Dont think about it any more! 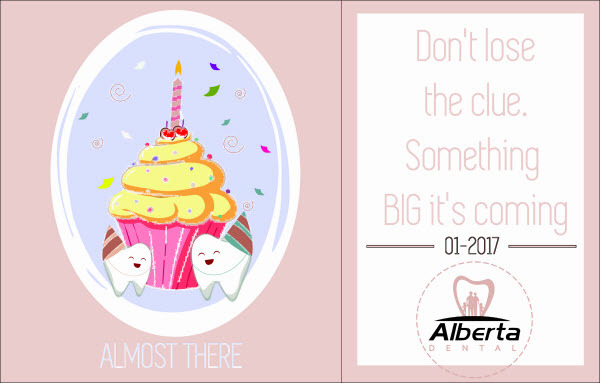 You just got to try Alberta dental. the service, price is grate. I had the all on four treatment by Dr. Jessie and I LOVE IT! I can eat agian and i smile all the time thanks to him. i have had no problems with my work. every one complements me on my teeth. Thank you Dr. Jessie and staff! 14 crowns done over night! great quality and service. My Dr. is David, he is fluent english speaking. the price was amazing :D GREAT TEAM!! COME CHECK THEM OUT! when you come in the office you feel like your with fam. or friends every one makes you feel so comfortable, they play the best movies for us while we wait to be seen. the place is clean. the drs are all awsome! every one speaks english. I Paid less than the half price i would have paid in the states for my work. I had implants , bridges, 2 root canals, 2 post , 2 single crowns. I even had some extra to shop around :) all my work was done in two days, when in the states this would take weeks to get done. This is the dental office to go to guys you will love them all. wow! my best experience with a dentist ever... for the longest have I been prolonging my dental because i was terrafied. Dr. Ahidaly besides being beautiful she has angel hands did not hurt me at all. she knew exactly what she was doing and explained every step, very gentle. I want to recommend her to you. you will love her. awsome place to go to! I recommend dr. alan he is so gentle and does great job! The best dental office you are going to find honestly, afordable and great quality best of all. Every one speaks english, clean place. travelling thousands of miles well worth it! SAVED 80% of my money and had an awsome mini vacations. I do recommend this office very much to all my family and friends!! supper recommend this place, the dr. was so great and kind. the girls in the front dest are so helpfull and friendly. the clinic is nice and clean. the price is so much afordable than the states! I had 4 dental implants and crowns and could not be more happy :) if you need dental work this is the office to go to, you wont regret it. Came here to get my wisdom tooth taking out and fillings Dr Canizales did an awesome job and very professional. Highly recommend this place to anyone that comes down to get their dental work done. i made 2 visits at the clinic. root canal / crown . doctors / equippement / and environment is better than any where in canada. also the cost was incredible cheap. DR. david del cid is a outstanding dentist , a professional perfectionist . 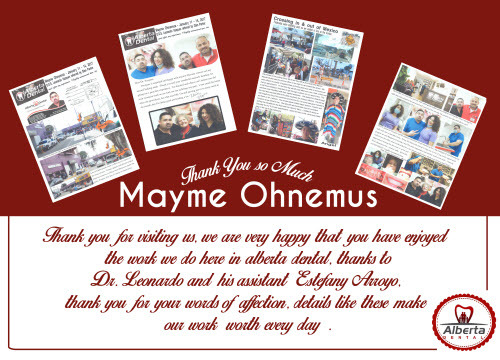 thank you so much to everyone at alberta dental for the exceptional service. highly recommend this place D.D.S. David del Cid is the man to see !!!! Great Dental service and friendly staff. I came here in July 2016 needing 19 crowns and 9 implant abutments. I chose eight Zirconium crowns and the rest Porcelain crowns. I put the 8 Zirconium crowns on my front teeth, and all this work was all done over a four day stay in Yuma. The cost estimate for this work in USA was over $45,000. Alberta cost was $11,200. Dr Jesse was great. I had one crown that came unglued several times but they glued it back on each time I brought it back as part of the warranty they provided. 100% satisfied with the work and follow up. Dr.Leonardo, almost a year ago I came to have you work on my teeth. I was thrilled then and am just as happy now!! Thank you SOOOOO very much !! A more than satisfied customer!! Alberta Dental and D.D.S, Leonardo Vazquez are the best for dental work in Los Algodones. The prices are unbelievably low for the quality dental work. Dentist Leonardo Vazquez is the best dentist I ever had. His dental work is the highest quality and He takes great pride in what He does.I had a complete mouth full of dental work done, crowns, partial denture and full upper denture. The work was done with the utmost attention to having You walk out with a beautiful smile and well functioning teeth. I have never been to any dentist that does this quality of work and is a stickler for detail to assure everything is perfect as D.D.S. Leonardo Vazquez. There was absolutely no pain when Dr. Allen E. pulled my tooth out. I really liked the way he went about it and I would recommend him to anyone that needs a tooth removed by an oral surgeon. I am 100% pleased. And it was reasonably priced. Thanks Dr. Rigo for the recommendation! I am so pleased with the service and professionalism of the entire affice i feel so comfortable and have so much peace, thank you for everything. The doctor Hector russell perez is extremily good, efficient & communicates very well.